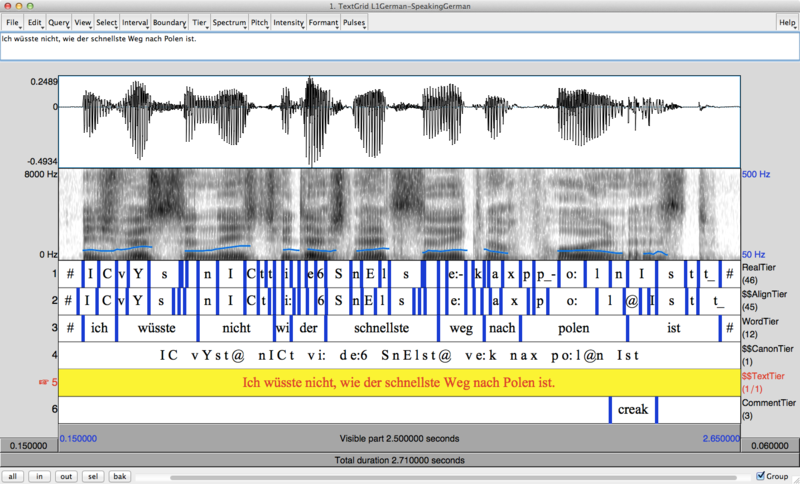 One aim of the IFCASL project is to construct a corpus of native and non-native speech for the language pair French-German. Our survey shows that no suitable corpus, in terms of size and coverage, is currently available for the target language pair. We will bring to the research community two non-native corpora for the French-German language pair, whereas most studies have focused on English. 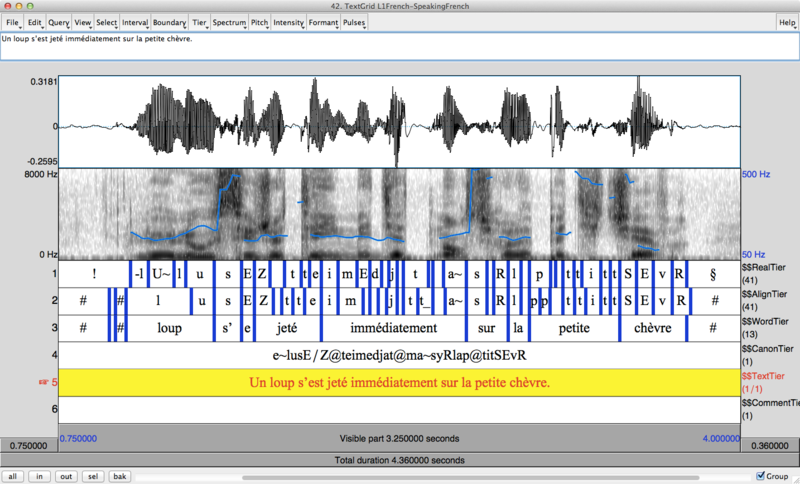 The corpora will be informed by in-depth phonetic knowledge to predict the types of errors made by French and German learners. The corpora can further be used by the research community for the recognition of non-native speech. 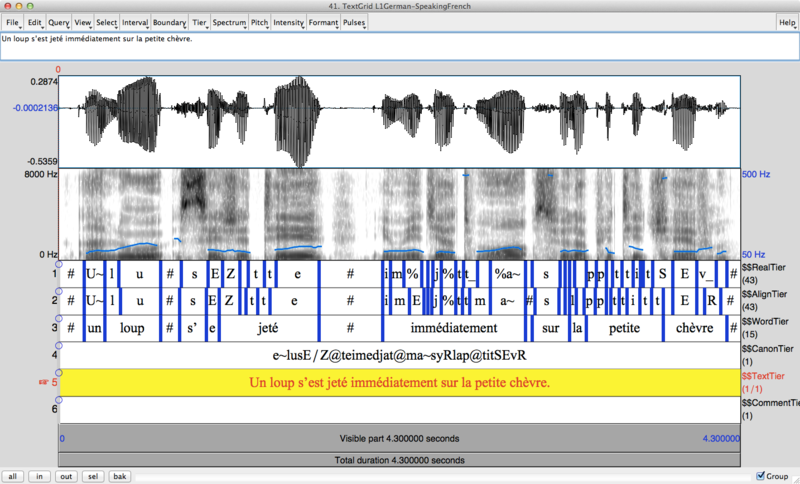 The following samples are provided as a preview of the IFCASL corpus, and represent all combinations of the French-German language pair. 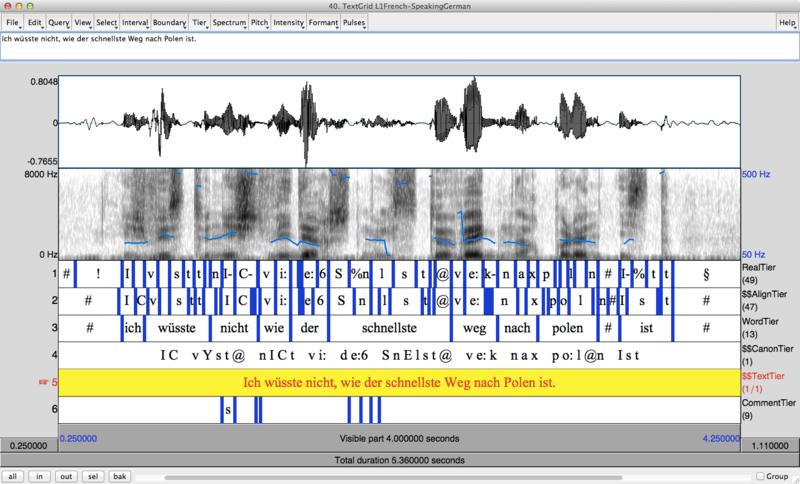 Click on a sample below to listen to the audio, view a screenshot of the annotation (PRAAT textgrid), and learn more about the phenomena that can be observed in the utterance. Ich wüsste nicht, wie der schnellste Weg nach Polen ist. Un loup s’est jeté immédiatement sur la petite chèvre.